I’ve been considering the entrance to our house lately. It’s not pretty. We have a longish driveway so landscaping the areas that we don’t regularly look at ourselves has not been high on the priority list. We also live on a private road shared with our neighbors so curb appeal is not a high priority. But not making the entrance to the property look pretty because few people see it is a little like not having a nice bedroom because only you see it. At some point pride of ownership comes into play. We’re currently considering removing a few trees that are within a couple feet of the power lines. 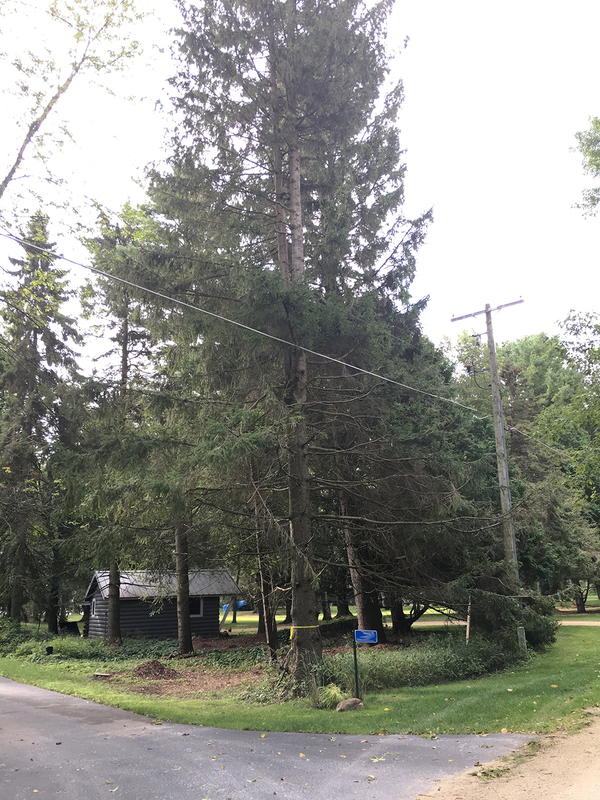 These are very large spruces that are generally unhealthy and not that good looking because they’ve been sheared on one side by the power company. It’s not pretty, but it’s better than weeds. What would be even better is a low-maintenance, deer-resistant garden that would look nice from the road and provide some screening so we don’t have to see the cars drive by. 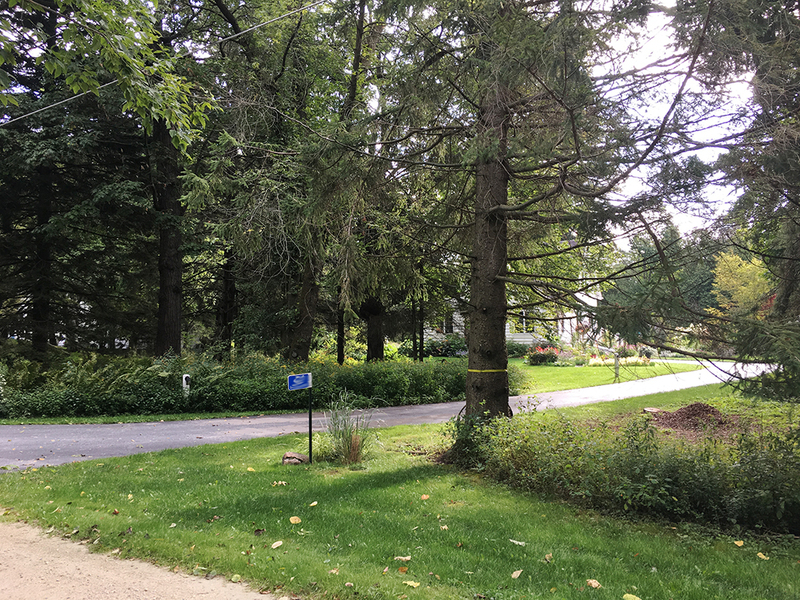 The area on the right side of the picture is where we are considering removing the tree with the yellow tape and planting some screening to make the entrance look nicer and the block to the view to (and from) the house a bit. But this area is part sun, at best. And therein lies the problem. Because almost anyone can suggest evergreen screening plants for full sun, but when you get to shadier spots, the options decrease. And if you add in another requirement, like deer resistance, then you’re really limited. And when you get to a situation like very dry shade, perhaps under a large tree, you’re probably better off thinking about a fence or containers. This is the view as you enter our driveway. Not exactly the most welcoming. The shed belongs to our neighbors and right now it’s the focal point of the entrance (along with the scrubby looking tree). 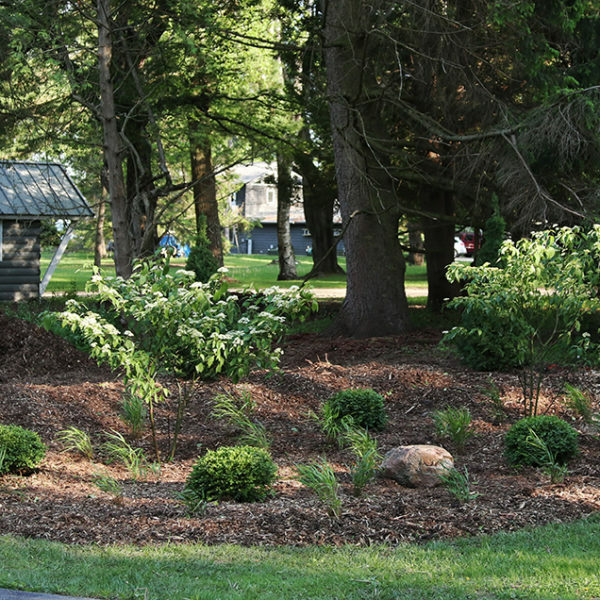 Removing the tree would allow us to make a small garden area with screening plants and a few other deer-resistant perennials to make it look a little more welcoming. The other problem with choosing evergreens is that they never really stop growing, it’s just a matter of how fast they grow. Most tags on evergreens list the size as “X feet in 10 years.” Which means you can probably expect it to be double that in 20 years. And if you’re looking for screening, you’re looking for rapid growth, but it might not take long before your screen is too tall and you have to start from scratch. In some cases, optimal conditions for a shrub or tree might not be possible, but you might still be able to grow it, so long as you understand it won’t fully live up to its potential. 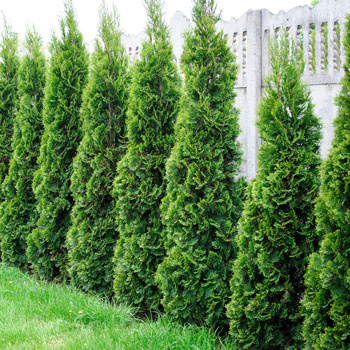 When it comes to screening, boxwoods have so many attributes in the “pro” column. Their dense, finely-texture foliage is beautiful and will provide a total block of whatever is behind it. They are also distasteful to even to hungriest and dumbest deer, and they are happy in part shade to full sun. Sadly, though, the “con” list is equally long. In areas where very hardy varieties are required, even the largest varieties—’Green Mountain’ and ‘Winter Gem’ to name a couple—only get to about 5 or 6 feet tall, so for screening they only work for unpleasantness that’s lower to the ground (unless you plant them on a berm). Gardeners in warmer zones in which the B. sempervirens varieties will thrive can grow others that are said to get to 10 feet tall in 25 years, which is great but that’s a long wait! They are also challenging on the budget, particularly if you choose large specimens, which isn’t a bad idea because they aren’t the fastest growers. 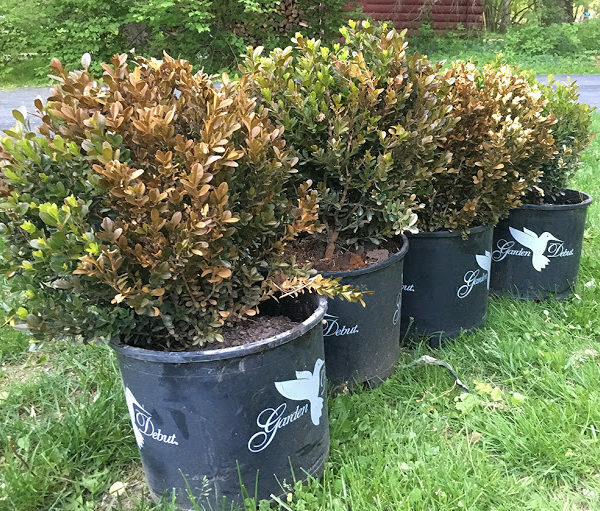 To get a mature, tall boxwood, you’re probably looking at spending hundreds of dollars. And there’s one more issue with boxwoods: boxwood blight. This fungal disease is spreading through the U.S. (after decimating hedges across England) and how far it will spread is unknown. 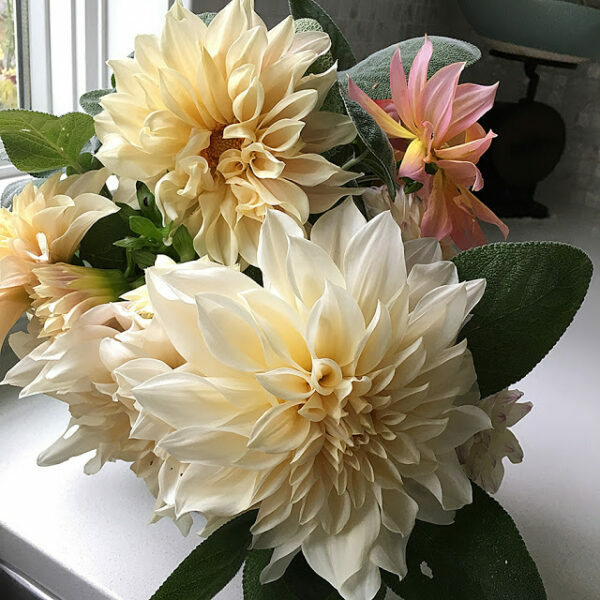 There are many varieties, with varying characteristics, but they can be found hardy from zone 4 to 8. 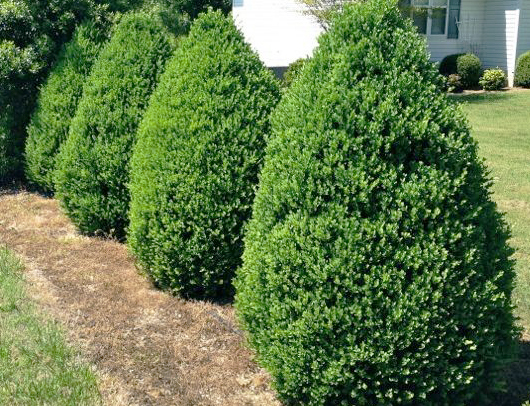 Yews have a bad reputation for turning into giant green blobs that eat houses, but don’t hold them all accountable for that bad behavior. There are many yews available that can provide screening without becoming shapeless behemoths and a bit of pruning certainly helps as well. Taxus x media ‘Hicksii’ (zone 4-7) is a columnar form of yew that can reach about 20 feet tall in 20 years, which is a nice height for screening without blocking too much light. More typically you’ll see them in the 9- to 12-foot range. Although can grow happily in low-light conditions, they won’t tolerate wet soil, so good drainage is a must. 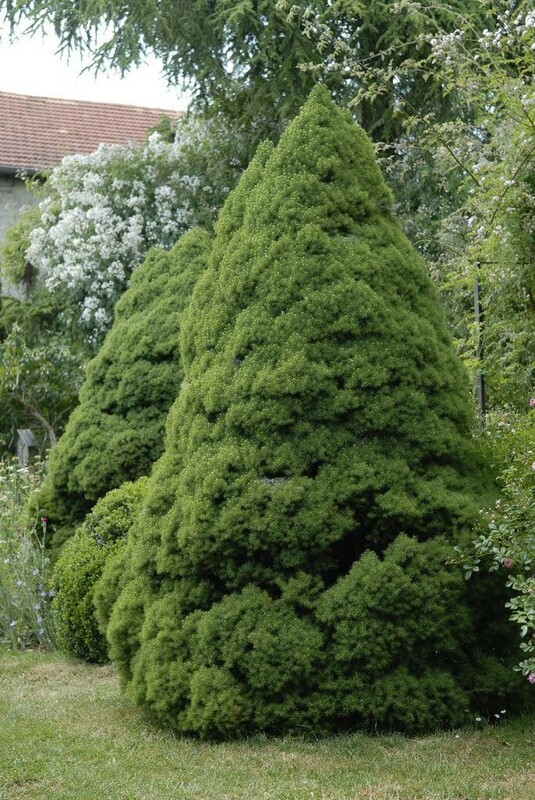 Taxus x media ‘Viridis’ is very columnar, getting about 10 feet tall but only two feet wide, which can work for some partial screening, or screening as part of a larger planting. Yews are generally not tasty to deer (and in fact some parts are said to be toxic), but don’t count on that being a certainty. I’ve seen plenty of yews in our area chewed to nubs during winter when there’s less food available for our local, hungry herd of deer. Hemlocks will be much happier in cooler climates, so those in zone 7 or warmer may want to consider something else. They are happy without afternoon sun beating on them, so a partly shaded spot is perfect. 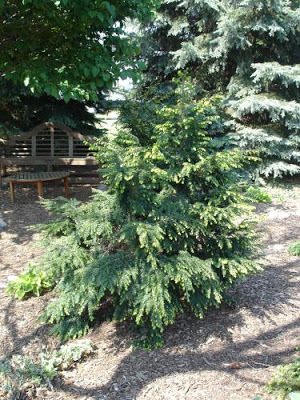 Tsuga canadensis can get enormous, so unless you’re looking for that, a better option is some of the smaller-growing cultivars, including ‘Geneva’, which gets 8 to 15 feet high and wide. It does have a center leader but can often end up a bit more blobbish, which might be just fine. This is another one that is said to be deer resistant, but take that with a grain of salt. 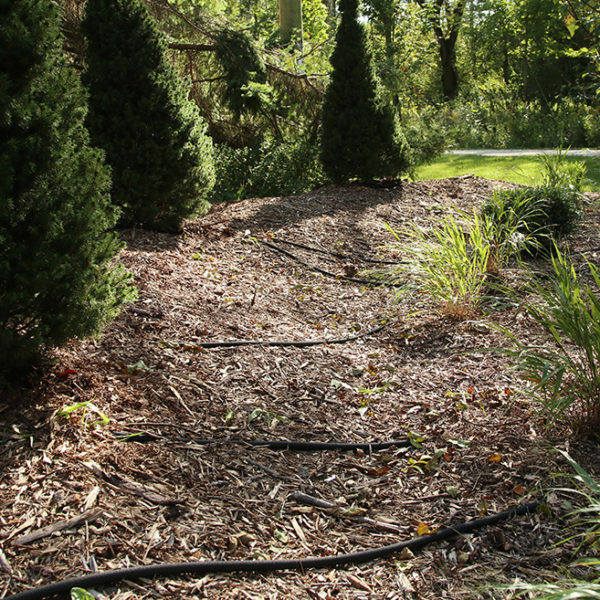 You won’t find a lot of Arborvitaes that claim to grow in part shade, but they will. Now, that doesn’t mean they’ll grow as quickly (one of the main reasons people like them) as they might in sun, but they do grow. The main problem with them, as far as I’m concerned, is that they are irresistible to deer. Although some varieties like ‘Green Giant’ claim to be deer resistant no one has informed the deer of that and within a few days I’ve seen them turn nicely shaped trees into lollipops. That might not be so bad. You could always plant some truly deer resistant low shrubs and perennials to cover the bare legs of an Arborvitae and just plan on having the tree’s foliage start at about the 6- or 7-foot mark, and there’s plenty of this going on in my neighborhood. I’ve also seen people ressurect trees that have been decimated by deer browsing by protecting them with fencing in winter and giving them a few years to recover. If there’s a knock against Arborvitae other than the deer, it may be that it grows too fast. They can quickly shoot up to 40 feet, and then you may be back where you started from. 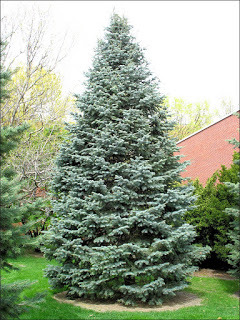 Some fir trees will do well in part shade, including Abies concolor. I’ve never grown this tree but in reading about it, it sounds finicky to me. Here’s some information about conditions it prefers from the Missouri Botanical Garden: “Best grown in rich, medium moisture, slightly acidic, sandy/gravelly, well-drained soils in full sun to part shade.” Oh, is that all? I thought maybe it would like me to bring it a cup of coffee every morning precisely at 7 a.m. too. Still, they are beautiful trees, hardy in zones 4 to 7, and slowly growing to quite a large size, so it might be a consideration. Said to be deer resistant in most cases as well. 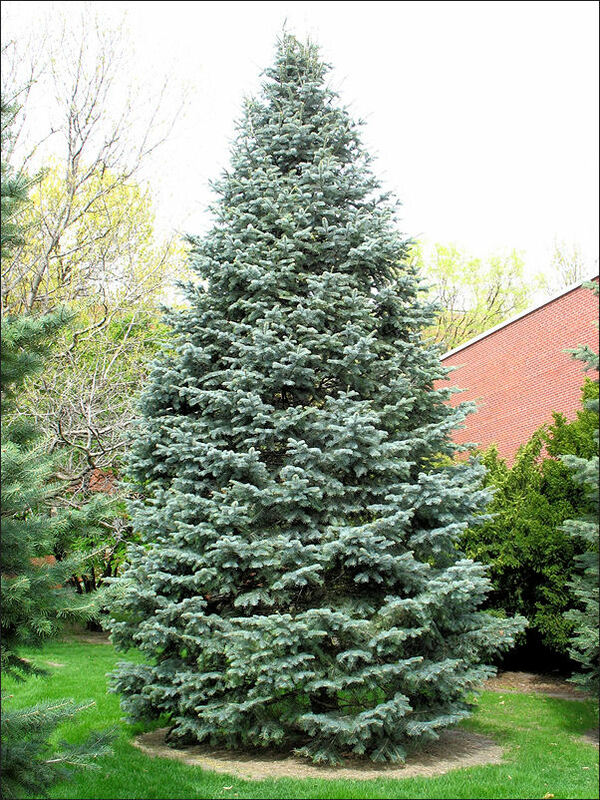 Many spruces will not tolerate anything less than full sun, but white spruce, Picea glauca (zone 3 to 6, generally), is more tolerant of less than full sun. I rate spruces high on the list of good trees to grow in my zone 5 because my property is full of them (one sure way to know that something will grow where you live is to look around and see what’s been there for a long time) and I know the deer don’t touch them. But some spruces have that problem that is particularly challenging for an impatient gardener like myself: They tend to grow slowly (some only 2 to 4 inches a year). That means that you have to buy a pretty big specimen to get the screening you desire, and of course that’s expensive, more challenging for the tree to get established and, frankly, a bigger hole to dig. These are another tree that will grow better in cooler locations and won’t be happy in hot summers. There are many great cultivars available, too many to list here. There just isn’t a perfect plant for this kind of tricky spot. That’s why I like the idea of a mixed hedge of sorts, incorporating evergreen screening, with tough shrubs and perennials. Working with a variety of plant types can help make up for the shortcomings of less-than-perfect options. You have been doing your homework. I live on a busy road and have bushes and trees everywhere. We don't have too many deer in our area. They stay out in the fields or have done so since I have lived here, 23 years. I wish I had some good ideas for you. I imagine deer would eat everything in our garden. I am just lucky. I think you are on the right track. What ever you do I know will look nice. I've seen sheared Hemlock hedges in New England that were stunning. We did an Arborvita hedge in part shade and it has done OK but not as good as I hoped. I think a mixed hedge is a good idea since you are less likely to suffer a problem to the whole thing. Have you looked at Michael Dirr's book on trees and shrubs since he lists hedging plants?